I totally get it. Facebook advertising for startups can be nerve wracking. Correct me if I’m wrong but investing money into Facebook advertising is always a gamble. First, we talk about ROI. You have no idea what to project or to aspect from Facebook advertising. Second, let’s face it. Most startups don’t have the time or resources to do Facebook analytics on their competitors. So, they are going into Facebook advertising by ‘flying blind.’ And lastly, Facebook advertising for startups is always challenging because Facebook is known to roll out new updates within the very short period. Unless you are glued to the computer screen on a daily basis and checking out social media blogs like this one, you’re bound to lose track on the changes in Facebook advertising. All in all, Facebook advertising for startups is just a pain in the a*s. At least, that’s what most startups believe, right? Now, let’s set the stage right for what you can expect in this post today. I’m going to share with you the secrets behind Facebook advertising which is useful especially for startups and small businesses. If you consider yourself medium to large business, I’ll be sharing more Facebook tips specifically for those markets in my upcoming blog posts. Click here to kept informed for free. What do you need to know about Facebook advertising (for startups)? The basics, ladies and gentlemen. In this case, it simply means that you need to understand what Facebook can do for you. Here’s the thing. You are probably jumping and can’t wait to understand Facebook advertising for startups further. And make no mistake as Facebook advertising can be very consuming at times. Subscribe to our newsletter, and we will make sure you get powerful and actionable Facebook tips delivered directly to your email every Monday! Subscribe now for free. The first step to making Facebook advertising for startups successful is to understand your advertising objective. Ladies and gentlemen, make no mistake in this. What happens when you can define your target audience? You get to advertise the right ads to the right people and at the right time. One, you are not going to waste advertising dollars. Two, you are not going to irritate your fans (by showing irrelevant ads). Three, you are going to generate more qualified leads in no time. 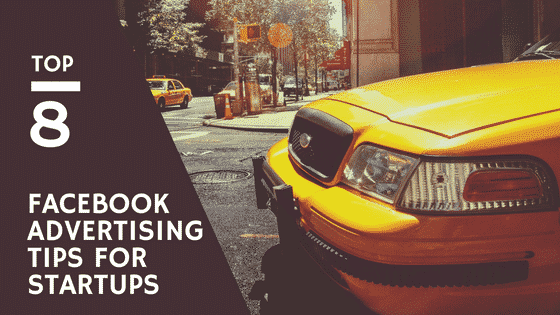 When it comes to Facebook advertising for startups, you need to understand that there are tons of features that Facebook ads can do for you. Take a look at the image below to have a better understanding. What do you see from the above? With Facebook advertisement, you can easily promote your business by increasing number of likes, boost a specific post, create event invitation and much more. As a matter of fact, the sky is your only limit! Before you even dive into Facebook advertising, make sure that you have a very strong understanding of what you can accomplish using Facebook marketing. This way, you will be able to deliver more value and gain better results from your paid advertising efforts. Your target audience is everything, and make no mistake with this. Do you know that having a super clear understand of your target audience is extremely important? Facebook advertising for startups will be a complete failure when you target the wrong audience. And trust me, that is not the biggest problem yet when it comes to advertising for startups. Any successful Facebook advertising for startups must involve constant monitoring. In this case, you need to monitor the progress and success of your Facebook marketing once sufficient time is given for the project to run. In this case, a good duration for Facebook marketing to run before you start checking the stats. The correct placement of ads is the top Facebook ads tips and tricks 2017. So, where is an ideal placement of ads when it comes to Facebook marketing? To answer this part, you need to understand if you are targeting audience on desktop or mobile. Or maybe, you want to target both! Here’s what you can do. Create different types of Facebook ad version and target on specific placement on Facebook. Run the Facebook ads for a few days (or a week) and check the stats. You’ll be surprised how much money you can save, as well as how many more reach you can get when you use the right placement of ads. I just completed a call with a client this morning, and one of the biggest Facebook advertising concerns for them is the spending budget. They are worried if they blow their allocated budget for the month when they use Facebook ads and I’m sure you are too! Lucky for you, you don’t have to worry much as you can easily set your budget with the inbuilt Facebook advertising feature. If set correctly, you will not exceed your budget in any way! Next, advertising your startup using Facebook advertising is not complete without setting a duration for the advertisement to run. In this case, it is fairly simple. Set the start and end date for your campaign, and you are good to go! Always remember that the duration of your advertising must be in line with your overall marketing budget. This means that there is no use creating 30 days duration with only RM 1 budget per day. Rule of thumb: Set a realistic goal and budget. Here comes the messy part. Creating the advertising banner is an important task. There are many formats that you can choose from, such as video, carousel, single image and slide show. If you are new to Facebook advertising for startups, you may want to try with the single image first before going deeper into more complex ones. Always remember that each format will have their goals and therefore, you need to align the format with your company’s goal. Content marketing. This is the make it/break it part. Words used in the post must be carefully figured out and considered. You certainly don’t want to turn off your potential customers. Instead, your goal is to ensure that the content can convert them into your customers. When it comes to content, you need to be familiar with words that are powerful (action takers), common, negative and positive ones. With proper usage and combination, you are sure to make head turns and ultimately sky roofing your conversion rate. Last but not least, tracking is essential for any successful Facebook advertising for startups. To track the success of your Facebook advertising, create Facebook Pixels and make sure that you place them correctly in the checkout or landing pages. The Facebook pixel is a piece of code for your website that enables you to measure, optimize and build audiences for your ad campaigns. … With the Facebook pixel, you can: Measure cross-device conversions: See how your customers are moving between devices before they convert. You can also read more about Facebook Pixels here. I hope you find these Facebook advertising tips for 2017 useful. While Facebook advertising is very effective for startups, you need to have the right plans to leverage the true power of Facebook advertising completely. BONUS: Reach out to us (using this link) and get free 30 minutes consultation!